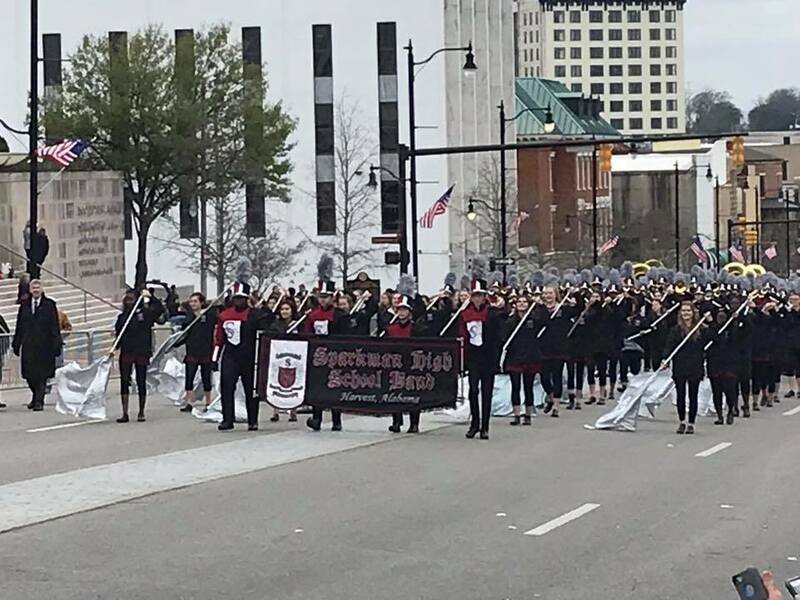 The band marches down the streets of Montgomery. The band will march in the Governor’s inauguration parade today. This is the first time the band has been asked to participate in the inauguration parade and is the first from the Madison County system. Knowing the band could do something like this with a bit of preparation, he said yes to the invitation. After scheduling two practices for students to learn how to march a parade, the band directors went on to pick show music and make preparations for the band. Students are excited to try something they have never done and are hoping the parade will be a huge success.